For more than seven years, PT. Indosat Tbk the leading telecommunication provider in Indonesia has been a member of Ooredoo Group. Indosat Ooredoo feel the necessity to transform the brand yet still relevant with Ooredoo Group strategy. They are committed to make the digital technology accessible to all people and every business. 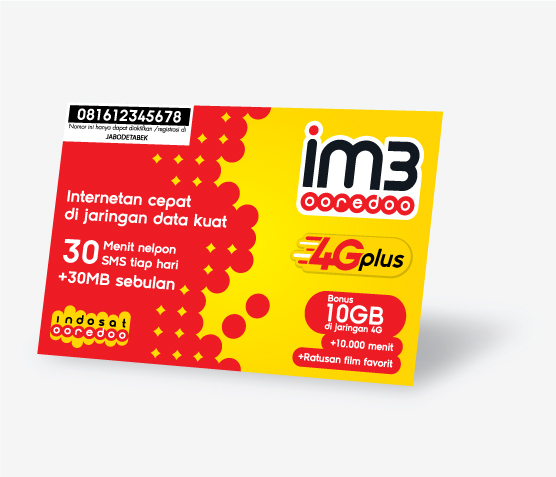 With this new transformation, Indosat Ooredoo needs to significantly promote and communicate the brand to their targeted market in order to maintain existing customer as well as to embrace the new market. However, to form a new positioning, Indosat Ooredo needs to consider the existing company value to make it relevant with brand equity built all these time. This transformation is also a milestone that marks the newly born brand spirit as a leading digital telecommunication provider. DM ID developed and established a comprehensive brand strategy, merging two strong equities from two different big names without neglecting each legacy. Combining strategic brand visual implementation and brand application system development, also construct the new brand platform which redefined the brand positioning. DM ID also crafted the brand guideline, retail customer journey, and new retail experience of Indosat Ooredoo, as well as created a brand guardianship program to keep push forward the brand throughout all touch points. Brand engagement program was also conducted to most of their internal people, starting from the top level management all the way to the front liners. This program helps them in understanding about the transformation purposes.